Start taking reservations for your hotel now! Sets up and configures the system for your unique requirements quickly and easily. 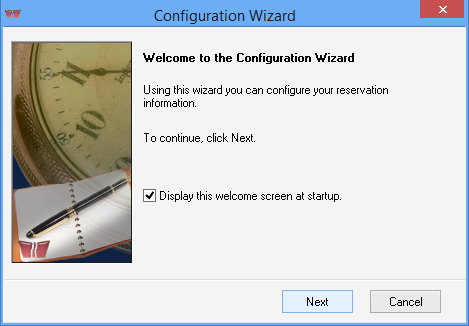 The step by step wizard guides you through the common settings. As your needs grow you can configure almost every aspect of the system from the Configure and Advanced Configuration menus. Let the wizard do the work and get you started in no time!